We all know that Denver’s Peyton Manning tied an NFL record with seven TD passes in the Broncos’ victory Thursday night against the defending Super Bowl champion Baltimore Ravens. But what makes this feat even more amazing is that Manning did it at the age of 37. Ironically, the two other QBs who have thrown for seven TD passes in a game were both in their 30’s when they accomplished the feat. Y.A. Tittle did it in 1962 just four days after his 36th birthday. Joe Kapp was 31 in 1969 when he tossed seven TD passes for the Minnesota Vikings against Baltimore. 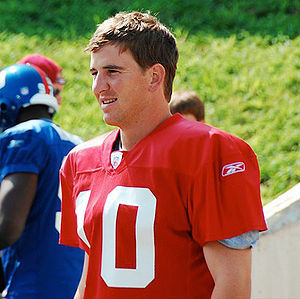 Manning became the ninth QB age 35 or older to thrown for five or more TDs in a game. It was the 13th time since 1960 that an NFL QB age 35 or older had five or more TD passes in a game. George Blanda had five or more TD passes in a game four times at age 35-plus; Tittle did it twice, as did Warren Moon. Other QBs, in addition to Peyton Manning, who had five or more TD passes in a game at age 35 or older were Brett Favre, Rich Gannon, Babe Parilli, Vinny Testaverde and Kurt Warner. With his seven TD passes in the opening game of the season, Manning now has thrown 44 TD passes at age 35 or older. That moved him into 26th place in the list of QBs who have the most TD passes at age 35 or older. Manning will set his sets on breaking into the Top 25 as next on the list is Phil Simms with 48. Here’s a list of the NFL QBs who have the most TD passes at age 35 and older (from 1960 to current). With Denver’s “one-and-out,” in this year’s playoffs, the case of Peyton’s regular season numbers versus his post-season numbers is again a topic for discussion. I think you’ll see the clear difference in how Peyton’s numbers take a dip when it’s playoff time, while Eli’s stats go up in the post-season. Peyton may receive his fifth league MVP for the just-completed season, but Eli has post-season bragging rights with a pair of Super Bowl wins and two Super Bowl MVP trophies to go with those title game wins. Over the past several weeks, the Manning boys, Peyton and Eli, have garnered a little ink and publicity for on-the-field (in Eli’s case) and off-the-field (in Peyton’s case) activities. Here’s a change of pace for those of you who might be tired of all the talk about Peyton and Eli… a few stats about their dad, Archie, a pretty darn good QB in his day. 1. 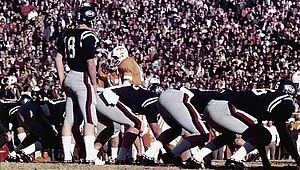 Archie made 139 starts as a quarterback in his 13-year NFL career. As a starter, he was 35-101-3. In his 10 years with the New Orleans Saints, the Saints had nine losing seasons and finished at .500 only once. 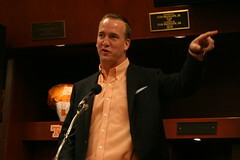 Both Peyton and Eli won 42 games in their first five years in the league; Archie won only 15 in his first five seasons. Archie made eight starts with the Houston Oilers and two starts with the Minnesota Vikings in brief stints with those teams at the end of his career; he did not win any of those starts with the Oilers or Vikings. 2. Archie finished his career with a passer rating of 67.1. His best season passer rating was 81.8. Peyton’s career passer rating is 94.9; Eli’s is 82.1. 3. Of the three Manning QBs, Archie has the most rushing TDs with 18. Peyton has 17, Eli only four rushing touchdowns. 4. Archie led the league in most times sacked in three seasons. The most times Peyton has been sacked in a season is 29; the most Eli has had in a season is 30. Archie was sacked 35 or more times in six seasons. 5. Archie threw 32% of his TD passes in the fourth quarter. Eli has thrown 33.5% of his TD passes in the fourth quarter; Peyton has thrown 23.3% of his TD passes in the fourth quarter. Of Archie’s 125 TD passes, 21 (16.8%) were for 40 yards or more. Of Eli’s 185 TD passes, 14.6% were 40 yards or longer. Of Peyton’s 399 TD passes, 14.3% were 40 yards or more. 6. Archie was sacked 396 times in 151 games, an average of 2.6 per game. Peyton has been sacked an average of 1.1 times per game; Eli has been sacked an average of 1.6 times per game. Archie ranks 11th on the all-time sacked list. 6b. 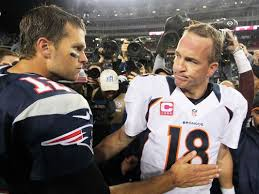 Both Peyton and Eli have played in two Super Bowls, with Peyton winning one and Eli winning a pair. Archie never played in an NFL postseason game.